The December lunar eclipse boasted an unusual facet. For the first time in almost 400 years, the eclipse took place on the same day as the winter solstice, which meant the moon was higher in the sky and easier for eclipse watchers to see. Click through the gallery to see pictures of the eclipse from across the world. 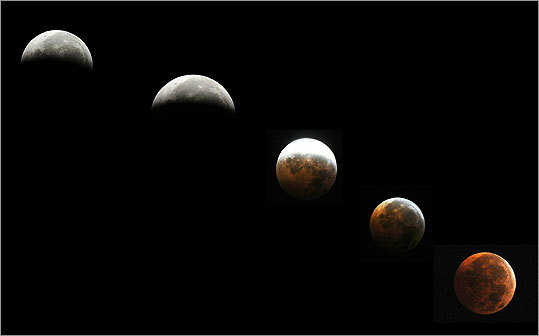 This combination of pictures showed the moon during a circle of a total eclipse as seen from Silver Spring, Md.